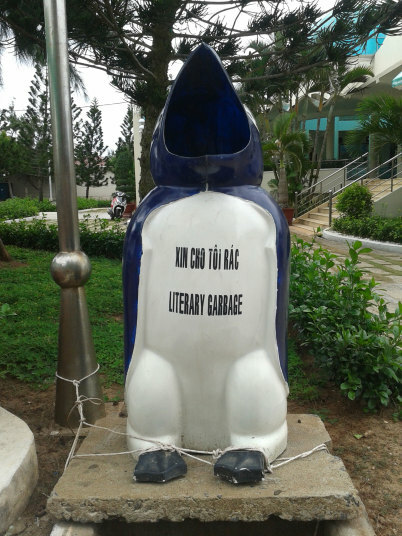 I don’t think the Penguin is big enough for some of the terrible books I’ve read! I asked around to find out if the Penguin used to wander around the park before they restrained him and got some very weird looks! Which made me smile, I asked was odd for asking the question and they have a Penguin waste bin!